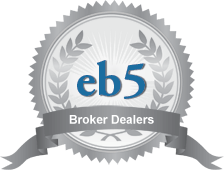 The EB-5 Immigrant Investor Program (‘’EB-5’’) was created in 1990 by Congress and is administered by the United States Citizenship and Immigration Services (‘’USCIS’’). The EB-5 Program permits foreign nationals to earn a green card (permanent resident visa) for themselves, spouse and any unmarried children they have under the age of 21, via investing at least $500,000 in a new U.S business that creates or preserves a minimum of 10 new U.S. jobs. Additionally, in 1992, Congress created the Regional Center Program which allows individuals to invest in a new U.S business associated with a USCIS approved Regional Center. Regulations permit the State Department to issue 10,000 EB-5 visas each year in this category. Investors that are adjudicated approved I-526 petitions by the USCIS will receive a 2 year conditional green card, which subsequently requires them to file a form I-829 petition within 21 – 24 months of I-526 approval. The I-829 petition must demonstrate the investor sustained the $500,000 in an at risk investment for a two year period, and the investment created the minimum 10 required jobs. Once the investors I-829 petition is approved, the investor becomes eligible for a return of capital subject to the success of the Project. Note: This definition does not include non-commercial activity such as owning and operating a personal residence. Note: Investors may only be credited with preserving jobs in a troubled business.A troubled business is an enterprise that has been in existence for at least two years and has incurred a net loss during the 12- or 24-month period prior to the priority date on the immigrant investor’s Form I-526. The loss for this period must be at least 20 percent of the troubled business’ net worth prior to the loss. For purposes of determining whether the troubled business has been in existence for two years, successors in interest to the troubled business will be deemed to have been in existence for the same period of time as the business they succeeded. Capital means cash, equipment, inventory, other tangible property, cash equivalents and indebtedness secured by assets owned by the alien entrepreneur, provided that the alien entrepreneur is personally and primarily liable and that the assets of the new commercial enterprise upon which the petition is based are not used to secure any of the indebtedness. All capital shall be valued at fair-market value in United States dollars. Assets acquired, directly or indirectly, by unlawful means (such as criminal activities) shall not be considered capital for the purposes of section 203(b) (5) of the Act.